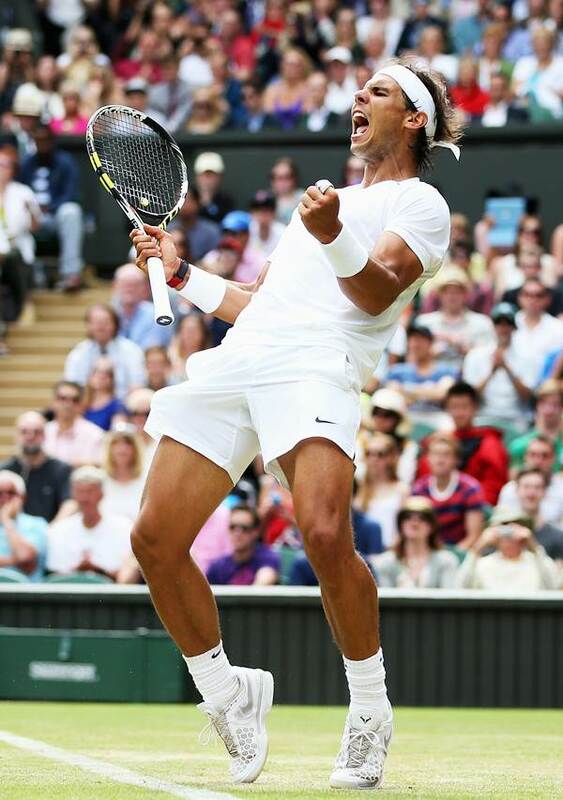 Lightning threatened to strike twice for Rafael Nadal at Wimbledon as his 2012 conqueror Lukas Rosol took a set from the world No.1 in Thursday's second-round tussle. But Rosol, who shocked Spaniard Nadal at the same stage two years ago, could not maintain the charge and went down 4-6, 7-6(6), 6-4, 6-4 in two hours 44 minutes on Centre Court. The pair produced some electrifying tennis, with the tall Czech firing down unreturnable serves and Nadal fighting his way back into the match by luring 52nd-ranked Rosol into baseline rallies. After an exhausting fortnight on clay, French Open champion Nadal said he was always going to struggle to settle on grass, and Rosol gave him some timely practise before his third-round clash with Mikhail Kukushkin of Kazakhstan on Saturday. 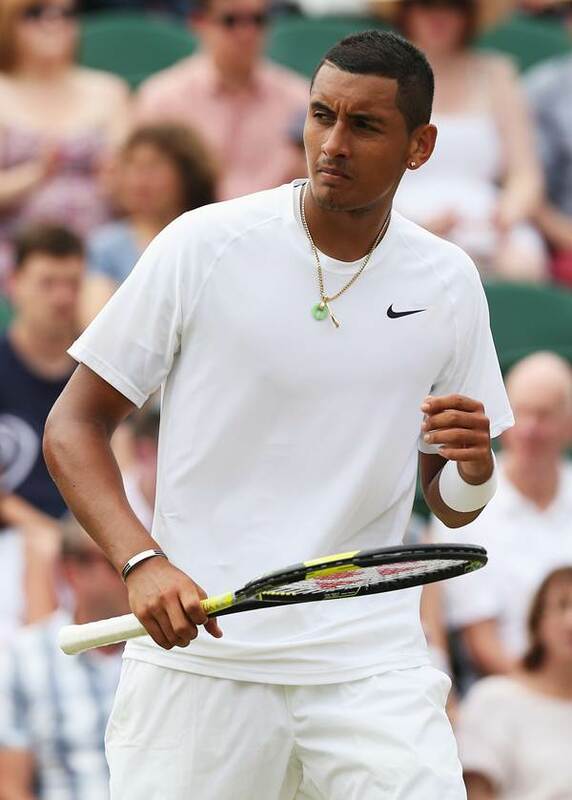 Australian teenager Nick Kyrgios staged a stunning comeback to beat French 13th seed Richard Gasquet 3-6, 6-7(4), 6-4, 7-5, 10-8 in the second round after surviving nine match points. Roared on by a vociferous Australian contingent on Court Two, the 19-year-old wildcard showed incredible resilience to complete the biggest win of his career. Having fended off a succession of match points, one of which was saved after a successful Hawkeye appeal on a second serve, he broke former semi-finalist Gasquet's serve at 8-8 in a deciding set that captivated the crowd for 71 minutes. Serving for the match, he then showed no nerves as he held to love, sealing victory with his 21st ace and flinging his racket to the court in apparent disbelief. The highly-rated Kyrgios, one of a batch of young Australians hoping to revive the fortunes of the former powerhouse nation, was serenaded by the yellow-clad Aussie fans who were set for a double-header on the bowl-like court with old favourite Lleyton Hewitt in action later on day four. Kyrgios was one of five Australians to reach the second round of the men's singles - the most since 1999 - and will fancy his chances of further progress when he meets unseeded Czech youngster Jiri Vesely in the next round. 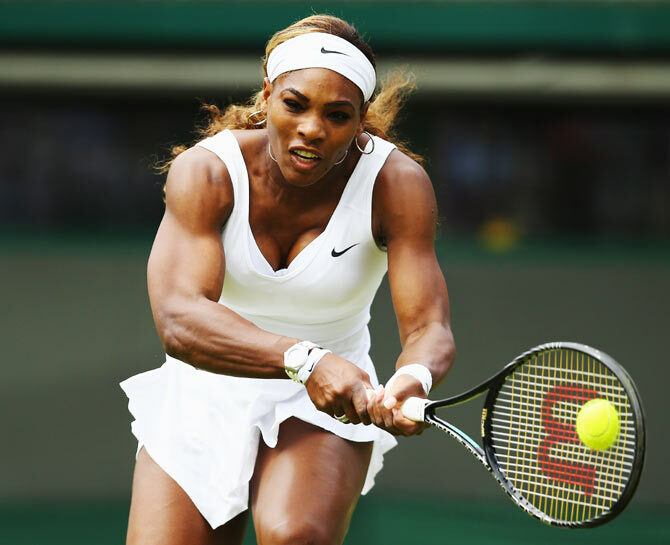 Serena Williams showed no ill-effects from a late-night doubles outing, barely breaking sweat as she cruised through to the third round of Wimbledon with a 6-1, 6-1 stroll against South African Chanelle Scheepers. The American top seed was first up on Court One on Wednesday, having had to wait until 9pm on Tuesday to clinch a three-set win with sister Venus, but looked fresh and eager to make short work of 94-ranked Scheepers. Having dropped only three games in the previous round, Serena was even more convincing as she overpowered Scheepers, sending down eight aces and hitting 26 winners as she wrapped up proceedings in only 49 minutes. The World No.1, who went out at this stage at last month's French Open, faces either Petra Cetkovska of the Czech Republic or 25th-seeded Frenchwoman Alize Cornet. Maria Sharapova put in a business-like performance to cast aside qualifier Timea Bacsinszky 6-2, 6-1 in only an hour on her way to the third round. World Cup sidelights: U.S. team prepares leave letter for soccer fans!